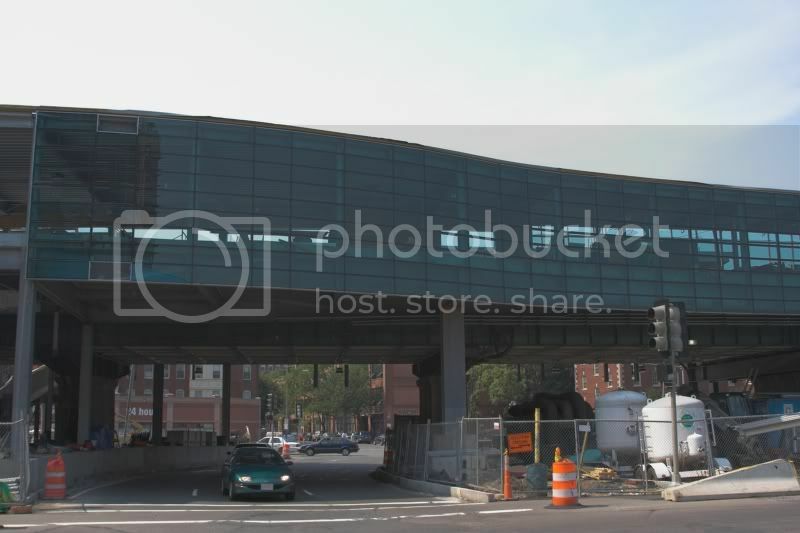 We have glass at Charles/MGH. That's looking rather nice. 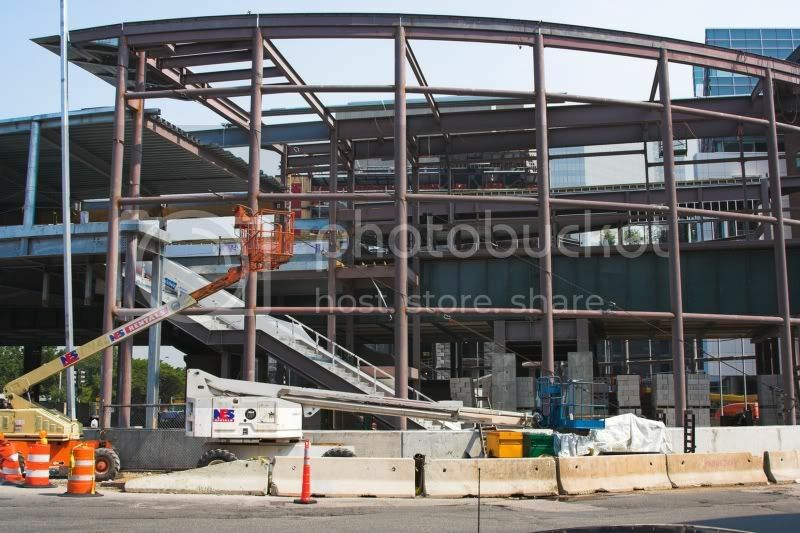 When are they schedule to complete the makeover? Wow, that does look really nice. I ride through Charles/MGH everyday and it keeps on getting better. The glass compliments the newer buildings of MGH. It is nice to finally see significant progress here. The new station is so much better than the old. wow thats gorgeous. Will they be taking the old station down? Please say yes! The old station has already been demolished. Currently there is a temporary station. The old station had a lot of charm, but this new one is looking quite fancy as well. I approve. 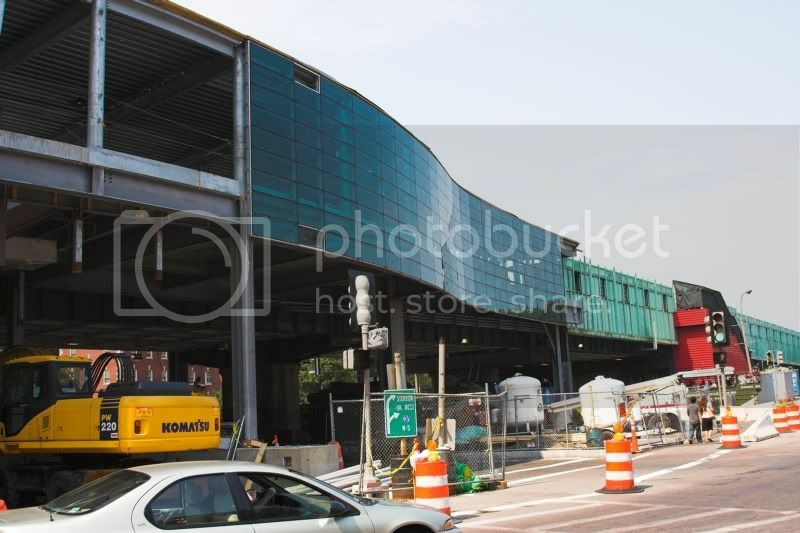 will they be removing all that nasty green metal next to the station? It's not nasty, and they are keeping it. I'm not sure what the green metal is for? And why would they need it? It seems disjointed next to the modern glass. I assume the platforms are in the new station. I thought the platforms were staying were they were, but I could be wrong. 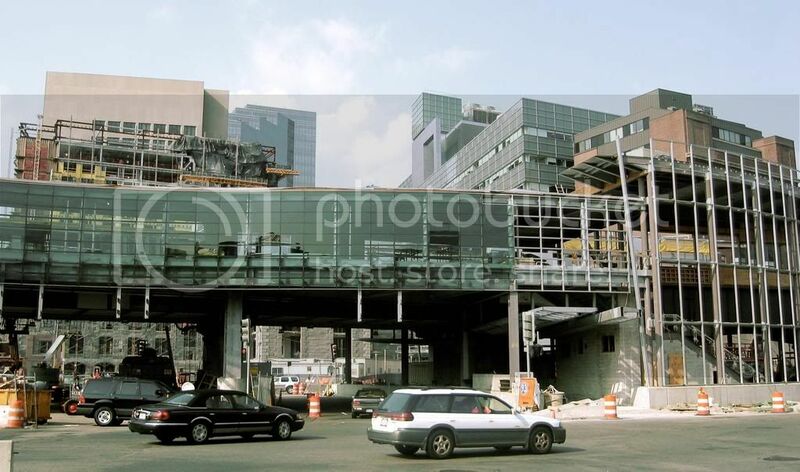 The MBTA, in cooperation with the Federal Transit Administration (FTA), is in the process of improving the Charles/MGH Station on the Red Line. 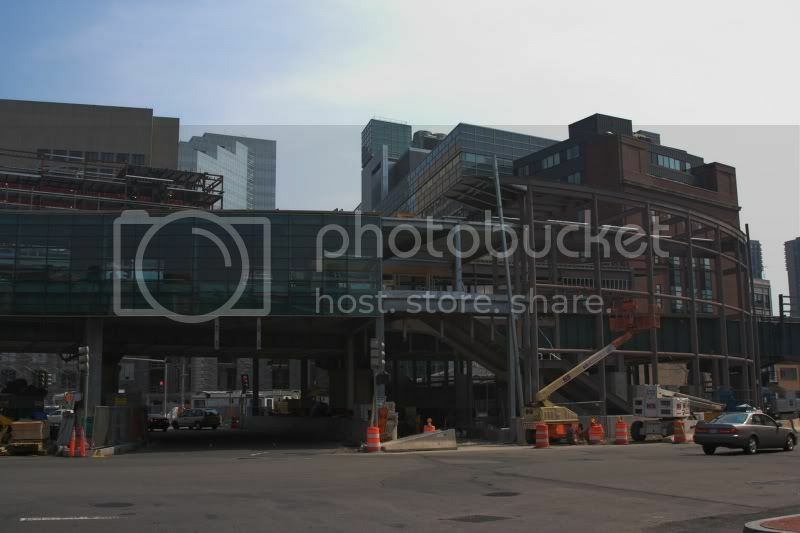 The open-air elevated station is situated at the foot of the Longfellow bridge. 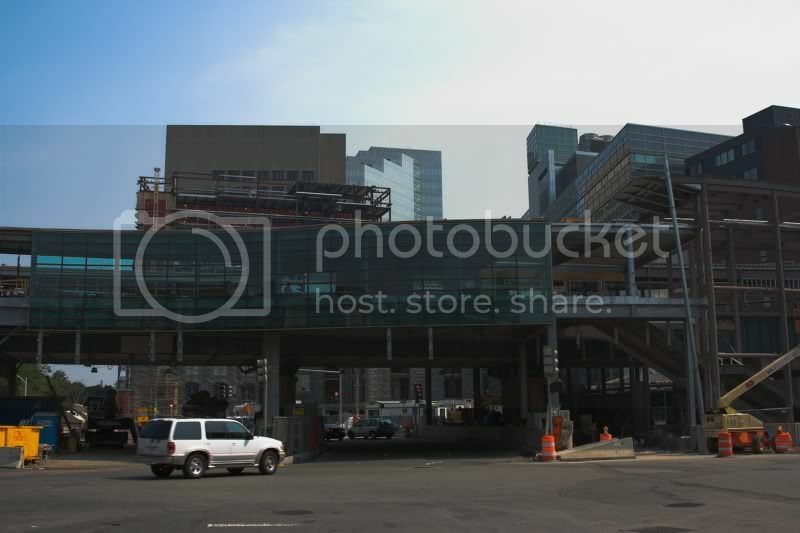 The purpose of the project is to make the station compliant with the Americans with Disabilities Act of 1990 (ADA); to accomplish safe, barrier-free pedestrian access to the station and platform; and to modernize the station to be customer friendly, operate optimally, portray an appropriate image as a gateway to Cambridge/Boston, and consider future development of nearby institutions. 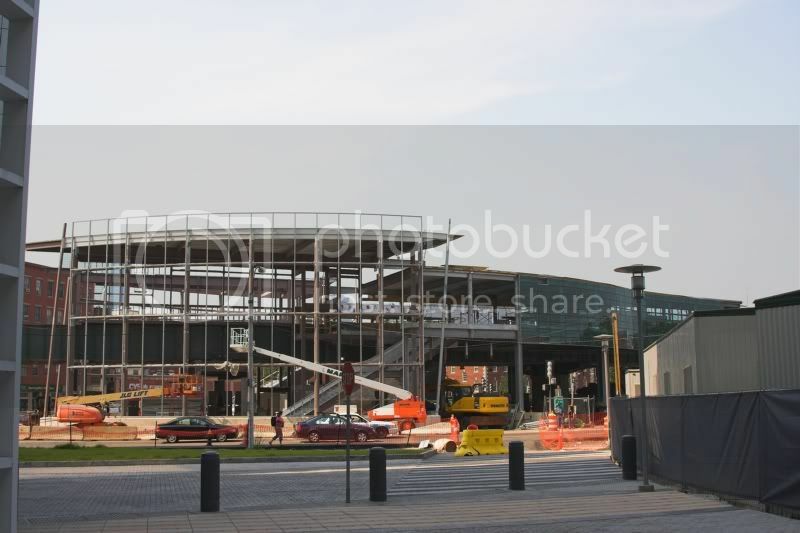 The design, the joint venture of HDR Engineering, Inc. and Elkus/Manfredi Ltd, will relocate the headhouse while retaining and restoring much of the existing platform structure. 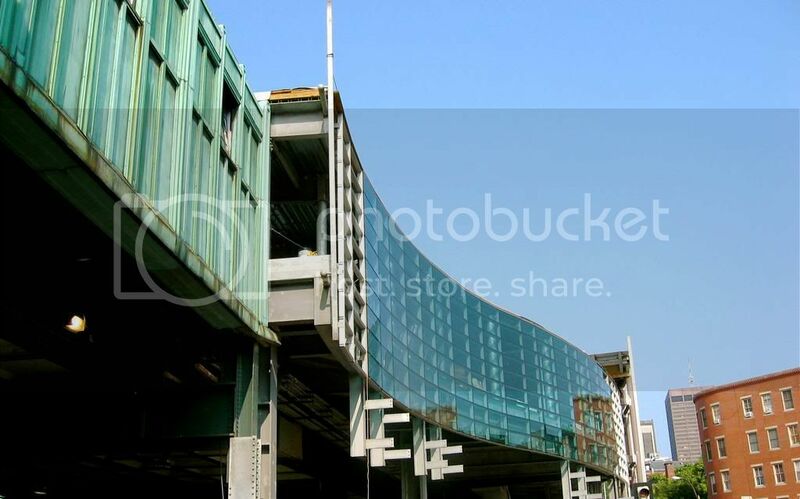 The existing headhouse, which was demolished in July 2004, will be replaced with a new, modern, glass-enclosed structure. The headhouse will be situated on a newly constructed traffic island that is away from the center of the busy intersection. New, at-grade crosswalks will provide access to the entrances. 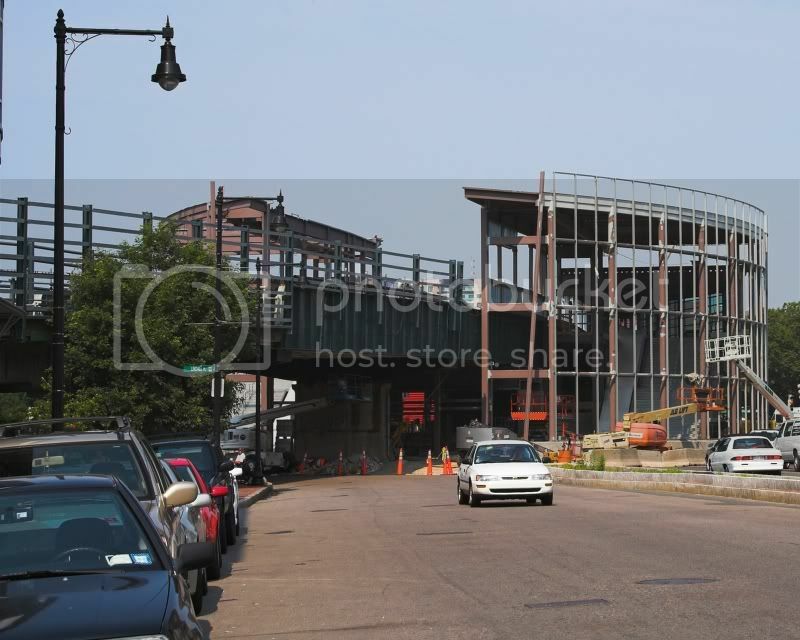 The unsightly pedestrian bridges and overhead walkways have been removed. 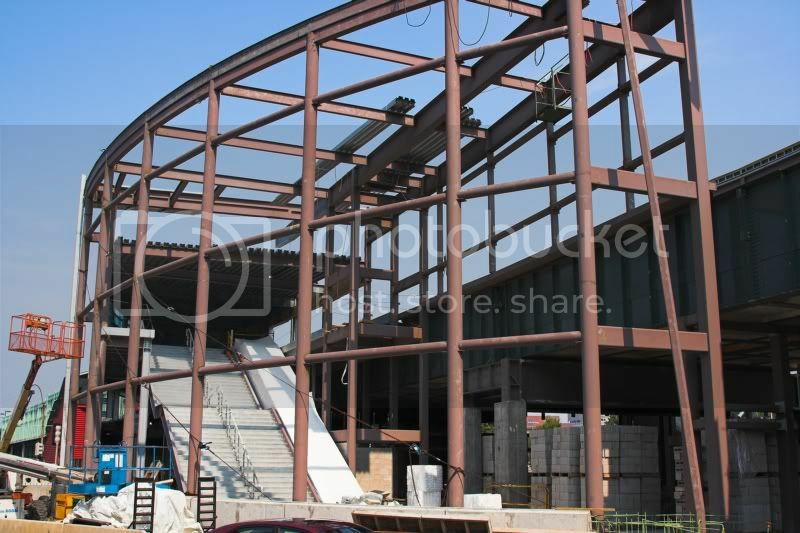 The new Station will be accessible upon completion of the project. The anticipated completion date is Fall of 2006. 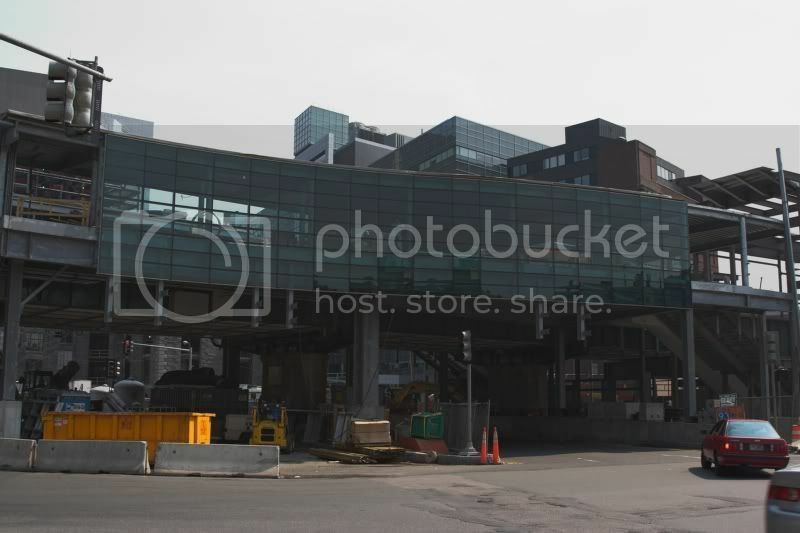 The addition of the new MGH building and the Charles Street Jail Hotel Tower make for a really nice backdrop for the new station design. I really, really like this project.